If you've been invited to join a webinar, you'll first need to register for the session. You can do this ahead of time or right before joining. Learn more. Once you've successfully registered, you'll see a Confirmation page. Note: If the organizer sets up manual approval, then they must first approve your registration before you receive a Confirmation email and Join link. In most cases, the Registration link can be accessed from the Invitation email sent to you by the organizer. Alternatively, they might have posted it somewhere online (such as Twitter or Facebook) or even sent it in an instant message. Look for a hyperlink that starts with "https://attendee.gotowebinar.com/register" and ends with a unique registration code. For security purposes, only the organizer can provide you with the Registration URL. 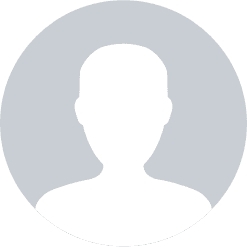 If you are unable to find it, please contact the individual who invited you to the webinar and ask them to resend it. What does "the webinar is full" mean? If you are trying to join a session but received a message stating "The webinar is full", then the session already has the maximum number of attendees that are allowed. You will not be able to join the session unless one of the attendees who has already joined leaves the session. This is because each organizer's GoToWebinar account has a subscription plan with a maximum number of attendees that they can have in any given webinar. Learn more. Once you've registered, you will receive a Confirmation email that includes specific join information. When the webinar is about to begin, you can use that information to get into session. Join link: Click the Join link in your Confirmation email to be instantly launched into session. Webinar ID: If you don't have your Join link, go here and enter the 9-digit Webinar ID. You will then be automatically launched into session! Note: Not time for your live webinar yet? No problem! You can also try a test webinar first. In order to install the GoToWebinar desktop app, you'll need to meet the system requirements listed here. Not sure if your computer is compatbile? Try our system check now! When you first join a webinar, GoToWebinar will automatically detect your computer setup and direct you to the best join method. If you are on a compatible Windows or Mac computer, then the software will begin to install as soon as you join. 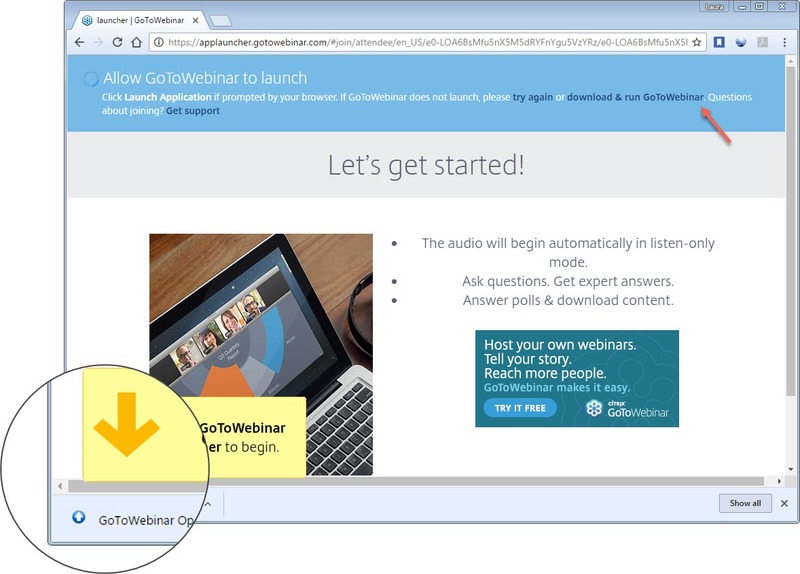 In order to install the GoToWebinar desktop app, you'll need to click through a few windows allowing GoToWebinar permission to access your computer. Note that specific download instructions will vary depending on your operating system and web browser; please select yours below for step-by-step details. Not time for your live webinar yet? 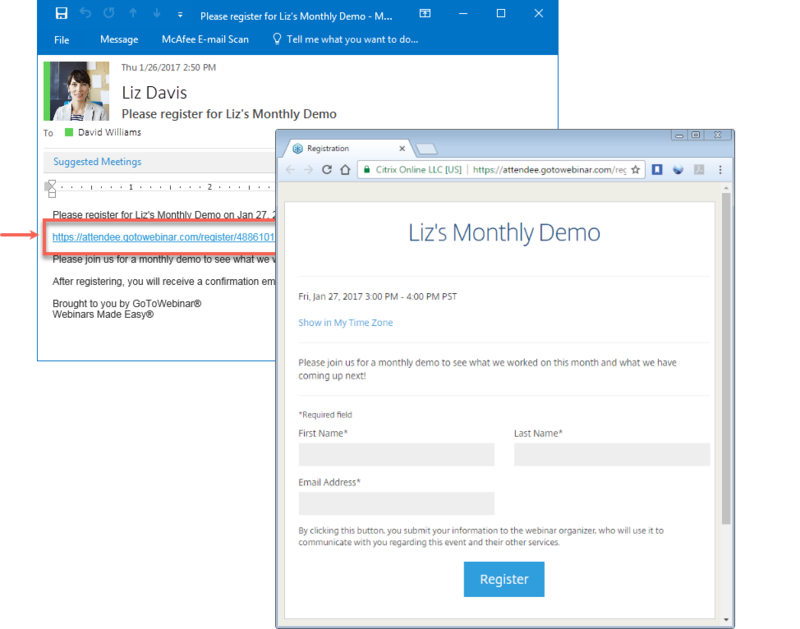 You can join a test webinar instead to start the download right away. Why isn't the download working? On occasion, GoToWebinar will fail to start when launching a session. This is most commonly due to a stuck process, application install issue, or driver conflict. If you've already tried the browser-specific step-by-step instructions listed above, try the more advanced troubleshooting steps here. Once you've been launched into session, you will be prompted to set up your audio. Use the drop-down menus to select the desired audio devices. Use your telephone's keypad to dial the provided phone number and enter the codes when prompted. Note: If you are the organizer of the webinar and are trying to start the broadcast, please click sign in now at the bottom of the window to log in to your GoToWebinar account and get started. 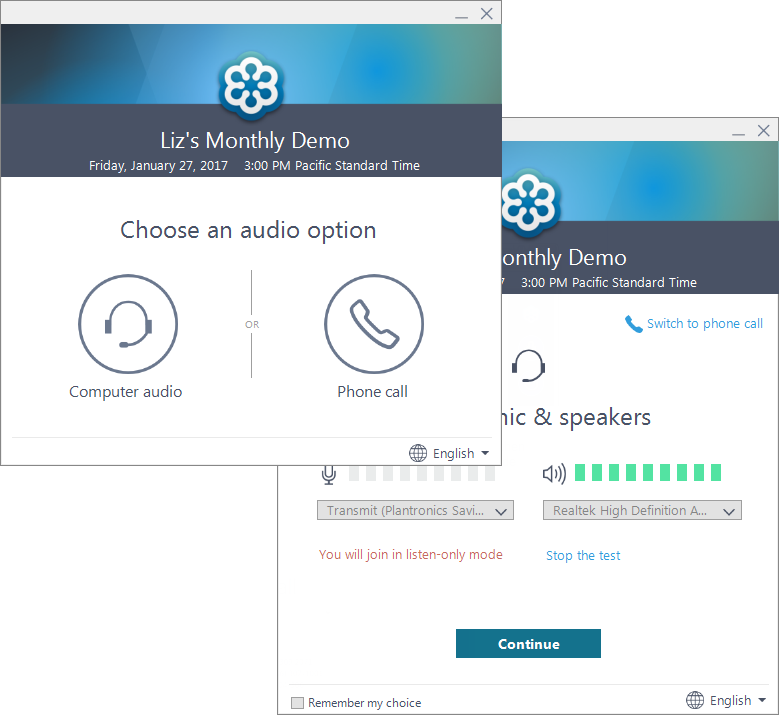 If your screen doesn't look like the one shown above, it's possible that the organizer disabled one or both of GoToWebinar's built-in audio options (for example, they might have made it a Computer audio-only webinar, with no phone numbers provided). They might even have provided custom audio information, in which case you should follow the instructions they provided in the Audio pane. 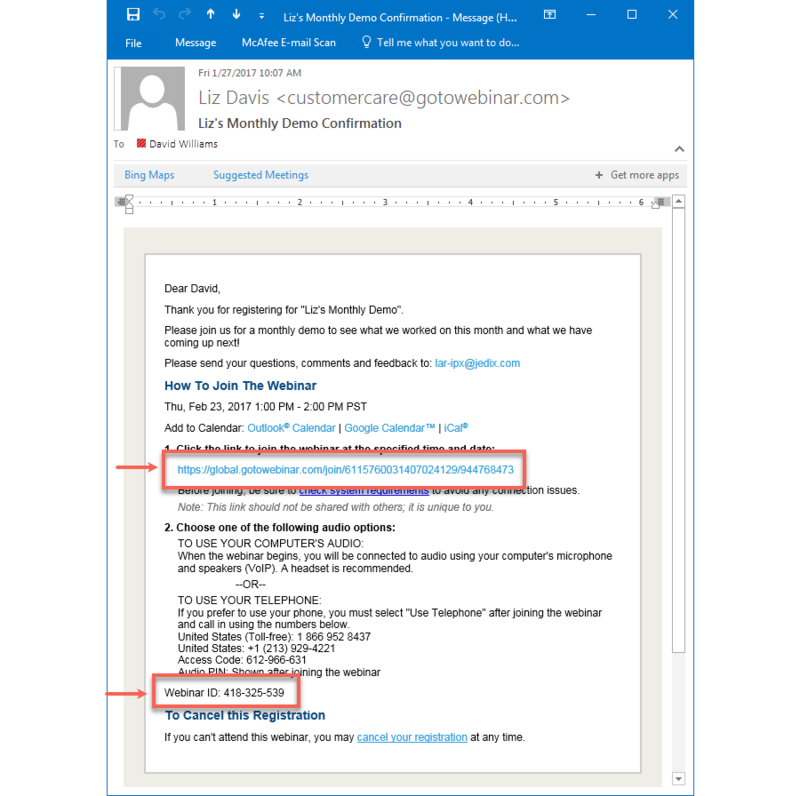 Alternatively, if your computer does not meet the system requirements for the GoToWebinar desktop app, then you were likely launched into session in your web browser using our Instant Join app. If you joined using this method, then you will be able to make your audio selection from the toolbar once the organizer starts the broadcast. Why does my screen look different than the one shown? If your computer does not meet the system requirements for the GoToWebinar desktop app, then you were likely launched into session in your web browser using our Instant Join app. If you see the message "Waiting for <organizer name> to start the webinar, then you have successfully joined! You will be able to make your audio selection from the toolbar once the organizer starts the broadcast, but be sure to click Allow when GoToWebinar asks you for permission to use your mic and speakers. Learn more. If you see the message "The meeting will begin when the organizer arrives," then the organizer has not yet started the broadcast. Once they do you'll be able to hear the audio. Learn more. If you see a new window open with the message "Waiting to view <organizer>'s screen", then the webinar has officially begun but the organizer is not presenting any visual content. You should be able to hear the audio at this point. That's it - now you can sit back and enjoy the webinar! 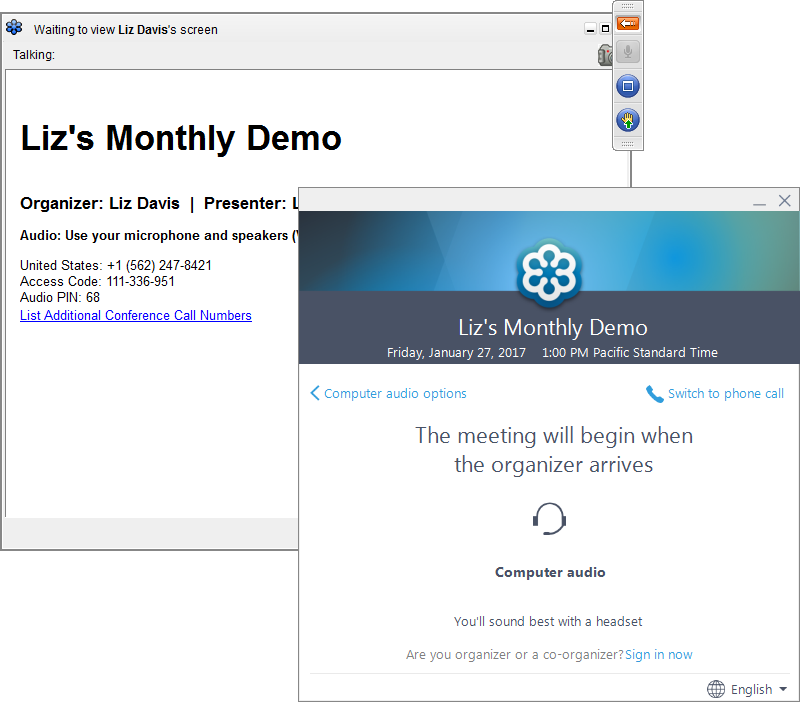 Webinars are designed to be in "listen-only" mode, so by default all webinar attendees are muted by the organizer. Learn more. Why can I hear audio but not see the presentation? If you're hearing the organizer but can't see their screen, most likely the GoToWebinar Viewer window is minimized or no one is sharing their screen yet. Learn more. Why can I see the presentation but not hear the audio? It sounds like you were connected to the session successfully, but your audio is not yet connected. You should have either Phone Mode or Computer Mode selected in your audio settings, which will connect you to the audio conference. Learn more. Still having audio issues? Try browsing our full list of Audio FAQs. Still need some help getting into session? Try browsing our full list of Join Help and FAQs to get more detailed troubleshooting help.